A year ago today I made these cookies for the first time. I was home sick from work after an insane 80-hour week, and I was exhausted and knew I shouldn't be cooking, but I was excited and too wound up to sit still, so I decided to make gingerbread ladies to take into work the next day. I couldn't get the dough to roll out thin enough without sticking all over my rolling pin, so I popped the whole batch in the fridge and figured a chill would do it some good. I took a nap, drank some LemSip, and decided to power through the evening and go to an election-watching party at the old man pub near our flat. We called some friends at the last minute who were delighted to come along and the four of us met at the pub to watch as polls started to close and states started to be called. It's worth noting that, thanks to the time difference, the first state to be called didn't happen until around 11:30pm Edinburgh time. We swore we'd leave at 11, then midnight, then after just one or two more states, and finally made it home around 2am. * Judson and I both stayed up in bed for another hour reading news articles and refreshing CNN and the BBC obsessively before falling restlessly asleep at 3am. I had set my alarm for an early wakeup so I'd have time to pop these cookies in the oven after an overnight chill and time to listen to the news before I had to get going to work, so when it went off at 5am, I didn't mind. Until I reached over and checked my phone. Obviously the rest is history. It was the worst week I've had in probably all of my adult life, it's been a terrible year since, and there's not a day goes by that I don't feel betrayed by my country and devastated at what's happened. The cookie dough stayed in the fridge that morning, and when I showed up for work at 10:30am, free of makeup, eyes swollen, nose still stuffy from the cold that had kept me home the night before, I knew I wasn't going to have the energy to finish that batch of cookies any time soon. So that evening it went into the freezer where I stared at it every time I reached in for some ice cubes or peas over the past year. About a month ago I finally remembered it was there and threw it out, but not without a pang of sadness for what could have been. I let the recipe float to the back of the box, determined not to think about it again until it didn't bring tears to my eyes anymore. So a few weeks ago, right before Halloween, I decided to make these cookies (again) to invite our neighbours over for the Halloween party we were throwing. I had the same problem as last time- the dough was far too sticky to roll out, even after an overnight chill, so I ended up scooping it up in heaping teaspoons and baking it that way. 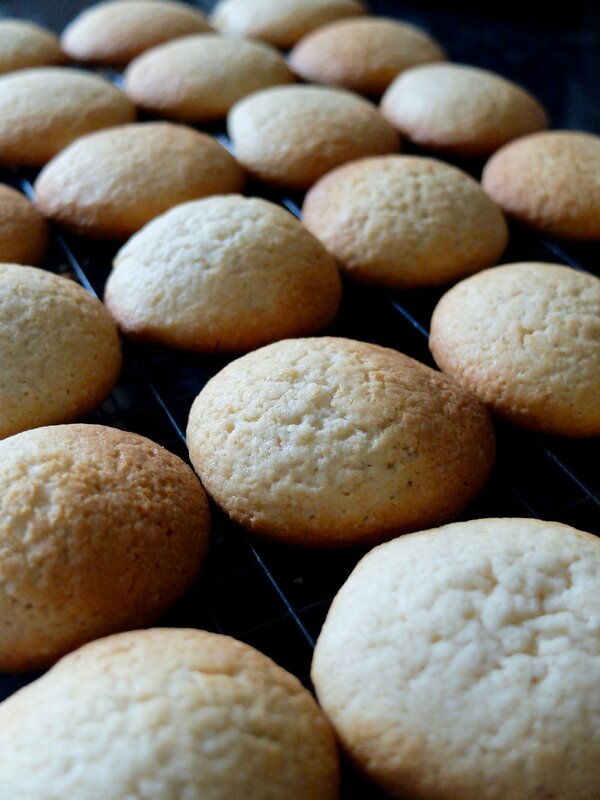 This gave a much cakier cookie, puffy and soft in the middle with crisp edges and a comforting, warm vanilla flavour throughout, and while it's definitely not what the recipe intended, it was better than tossing the dough again. Anyway, one year ago today the world made a choice. And this year, I fought against the divisions created by that choice by inviting our neighbours (most of whom we've never met) to a party at our house. It's a small thing, and it's not political, but it gave us a chance to build more community within our neighbourhood and that's something I'll always be proud of. *There was a 20-year-old American girl at the table next to us at the bar. She was studying abroad from a uni in the Midwest somewhere, and other than Judson and I, she was the only other American at the bar. She was DEVASTATED when the first state was called for Trump, and Judson and I leaned over to offer some words of encouragement: 'this one doesn't even matter,' 'there are 49 more and we KNEW she wouldn't get this one,' etc. but the poor girl was freaking out. When we said our goodnights, she was still there with her friends. The next morning, after voicing some choice worries to Judson, that girl was the first person I thought of. I wished then that I could go back to the bar and find her name, take her out for a coffee and give her a hug. I still wish that, but my hope is that she's now back stateside, on her way to graduation, and still paying that much attention to the world around her. I hope she's not as apathetic as I was at her age, I hope she's fighting for the right people and most of all, I hope she's not letting the illegitimus carborundorum. 3 spoons out of five. 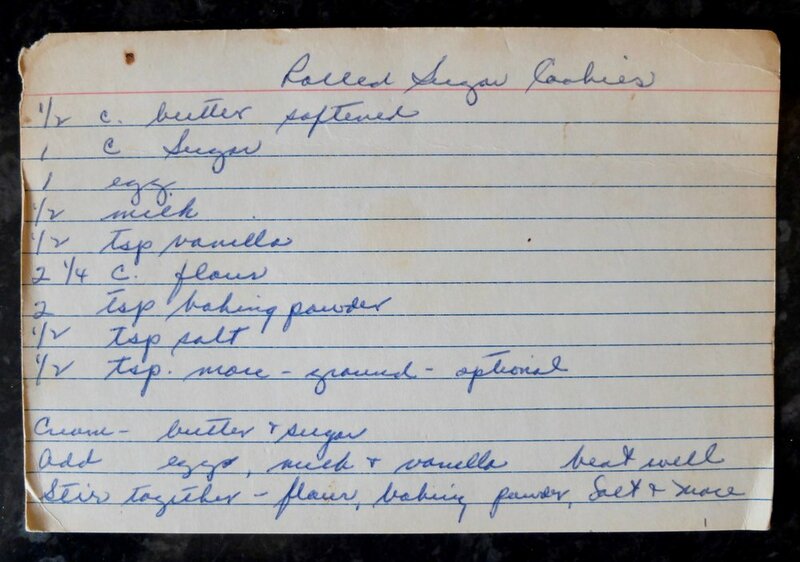 If you like your cookies a bit cakier, this is the recipe for you. Personally, I prefer mine gooey in the middle and crisp at the edges, so while I did enjoy these, they weren't quite my cup of tea (however, they pair great with one!). two years ago: 30th Birthday Cake! Add egg, milk and vanilla, then beat well until smooth. In a separate bowl, stir together flour, baking powder, salt and nutmeg or mace. Blend dry ingredients gradually into wet mixture. Divide batter in half, cover or wrap in plastic and refrigerate both halves at least one hour or up to overnight. If you're ambitious and want to try rolling the cookies, lightly flour your counter and roll out ½ of dough at a time. Cut with cookie cutters and bake on ungreased cookie sheet 5-7 minutes until set and just brown at edges. If your dough is as sticky as mine was both times I made these, after chilling, scoop heaping tablespoons onto an ungreased cookie sheet and bake 6-9 minutes until dry on top and just pale tan on the edges.